America’s Songs II: Songs from the 1890's to the Post-War Years continues to tell the stories behind popular songs in our country’s history, serving as a sequel to the bestselling America’s Songs: Stories Behind the Songs of Broadway, Hollywood, and Tin Pan Alley. Beginning in 1890 and ending in post-war America, America's Songs II is a testament to the richness of popular music in the first half of the 20th century. This volume builds on the unique features of the first volume, delving deeper into the nature of the collaboration between well-known songwriters of the time but also shedding light on some of the early performers to turn songs into hits. 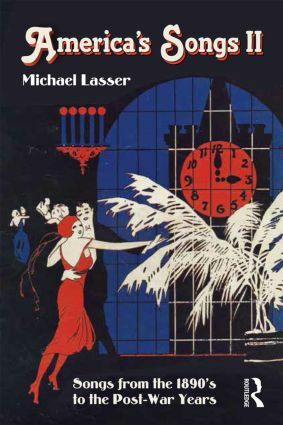 The book’s structure – a collection of short easy-to-read essays – allows the author to provide historical context to certain songs, but also to demonstrate how individual songs facilitated the popularity of specific genres, including ragtime, jazz, and blues, which subsequently reshaped the landscape of American popular music. America’s Songs II: Songs from the 1890's to the Post-War Years will appeal to American popular music enthusiasts but will also serve as an ideal reference guide for students or as a supplement in American music courses.